Has your SD Memory Card - "Stopped Working? Not being detected? Accidentally Deleted Photos / Videos? Suffered Damage?" We can recover your valuable data from Memory Sticks. SD, Compact Flash (CF) , MicroSD, SDHC, XD and other types of memory cards from all leading brand manufacturers. Flash card is a kind of storage device that makes use of Flash Memory technology to store data. This kind of card has been widely used in digital devices like digital camera, cell phone, music player. compact flash (CF) card, mmc card, SD card, Memory stick and XD card are all flash cards. Though flash card is a convenience for digital data storage, it is still hard to avoid data loss problem. 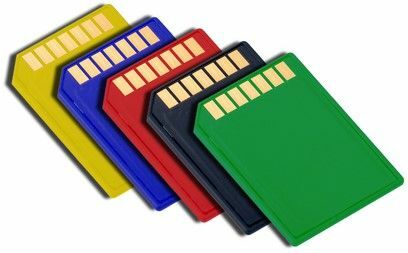 Flash card data can be lost due to system error, accidental deletion, mishandling, virus infection or other reasons such as Physical Damage or NAND chip failure. Our engineers at Precision Data Recovery Brisbane is one of the best choices for you. We use hardware forensic equipment, latest software and proprietary data recovery techniques which are fully compatible with all kinds of flash cards providing you the best opportunity to recover data at the lowest price. Flash Card Data Recovery Service will be able to recover a variety of files from flash card, including photo, video, office document, archive file, email, audio, etc. Precision Data Recovery will Recover lost or deleted files, photos, audio, music, emails from any storage device effectively, safely and completely. Our proprietary techniques supports data recovery from recycle bin, hard drive, memory card, flash drive, digital camera and camcorders. Recover data for sudden deletion, formatting, flash card corruption, virus attack, system crash under different situations. Clients can generally preview data before recovery allowing you to make a selective recovery and keep the cost low. Logical failure - when the SD Flash Card seems to be working but can’t be read by the computer. Often caused by corrupted or damaged files. Power Surge - if your computer doesn’t have surge protection then a sudden surge of electricity (such as a lightning strike) could damage the components in your computer, including the SD Card. Water damage - when the SD Card been in contact with water. Water can damage the electrical components, possibly leading to data loss if not handled correctly. If you believe your SD Flash Card has been damaged in any way, STOP USING IT. Further usage may damage the card and lead to further data loss. Contact us and we will recover your priceless data. Precision Computers sets the industry standard affordable data recovery services in Brisbane. Our experienced local computer technicians are well trained in data recovery, and we have a record of success. 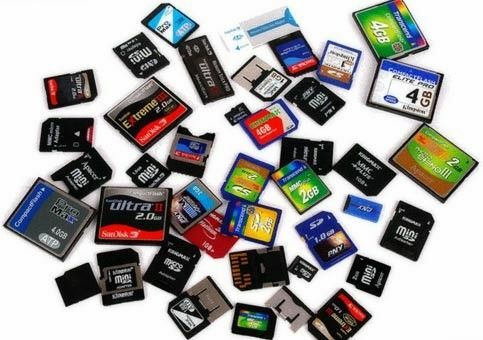 If you have lost your data or you think that your SD Card might be at risk, then do not hesitate to contact us for a free evaluation and quote. We at Precision Computers pride ourselves on being punctual and timely with our SD Card data recovery service. We aim to recover every bit of lost data quickly and efficiently so that our customers can get back up to speed as soon as possible. Our seasoned technicians understand how vital it is to remain in possession of your SD Flash Card’s data, and will work tirelessly to ensure your data is recovered at the soonest possible time. Precision Computers provides SD Flash Card data recovery services to homes and businesses all across Brisbane. Whether you live in North Brisbane or South Brisbane we have a store near you. We will endeavor to use the least possible invasive techniques if possible to minimize costs in order to retrieve your valuable data. We have invested in the latest software tools and keep up with regular staff training to ensure a cost effective solution is provided to our valued customers. Logical Recovery - These jobs are usually fixed using software tools and the data is recovered economically. Electronic Repair Recovery - Some devices may require repairs when they have been accidentally damaged. The SD Cards need to be repaired before a logical recovery can be conducted. Chip Off Method - We will remove the memory chips, read them using different types of professional chip readers then work with the software required to recover your photos, videos and other files all 3 of the world’s best technology available for this type of work. Depending on the type of Chip that needs to be removed such as TSOP48, BGA/LGA or Monolith - The costs will vary. The Costs can be as low as $195 to a lot more depending on the type of recovery required and the complexity of the job. Our Obligation Free Evaluation & Assessment will give you a very good idea upfront and you can then make an informed decision whether to proceed or not. Under the circumstance we are unable to recover any data, we will NOT CHARGE you the recovery fee, despite the cost and effort to us unless a clean room service is requested. Clean Room Procedures involve swapping parts from a donor memory cards or repairing the device. An upfront fee may be quoted under these circumstance which will then be deducted from the final bill if you decide to proceed. This fee is non-refundable. Data recovery costs can vary and at times be very expensive especially if clean room services are involved, our engineers deploy a step by step approach and you are kept in the loop at all times. There are No Hidden Surprises.